CBS Video on Demand coming to TDS TV! Unrivaled access to America’s most-watched network is headed to TDS TV. Starting March 20, CBS Video on Demand service will be available to all TDS TV subscribers. That means you’ll be able to watch the newest episodes of all your favorite CBS shows, whenever you want. With Video on Demand (VOD), you don’t have to remember to record your show or worry about DVR storage space. Just press the VOD button on your remote and you’ll bring up a world of free content on your TV via Video on Demand. CBS’ library of shows is especially impressive. Catch the most recent episodes of “The Big Bang Theory”, “Elementary”, or one of the multiple versions of “NCIS”. 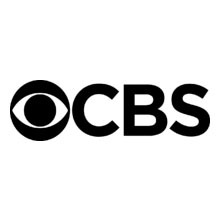 CBS Video on Demand also includes the network’s lauded talk shows, including “The Late Show with Stephen Colbert” and “The Late Late Show with James Corden”. If the show’s currently airing on CBS, you’ll be able to find it on CBS Video on Demand. So get ready for TV on your schedule! There’s always something of interest on TV when you take advantage of TDS TV’s Video on Demand services.